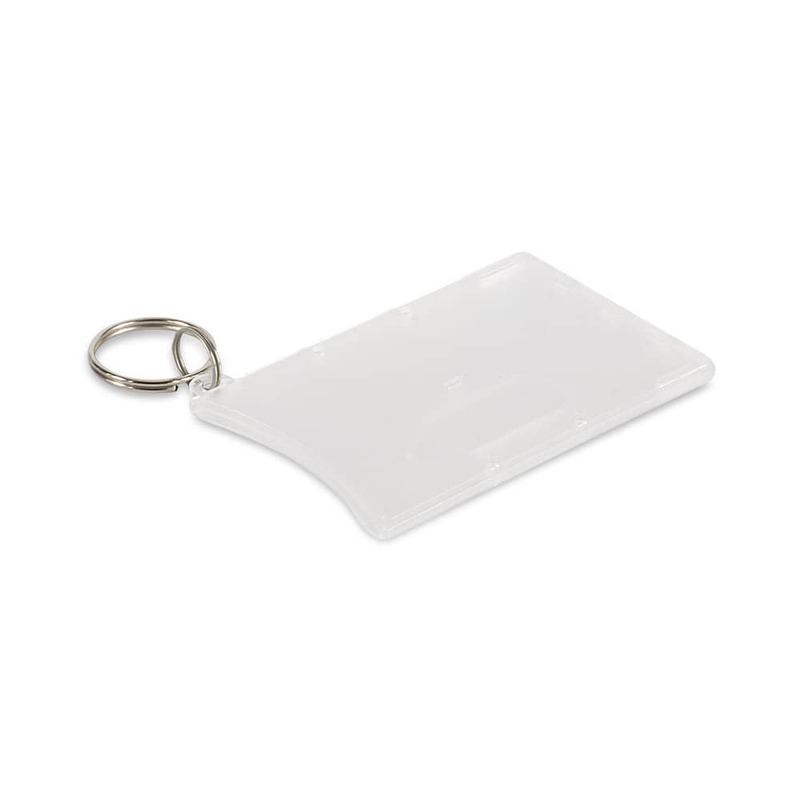 Durable plastic card holder with a convenient key ring which will hold one card. Features a thumb slot on the back so the card can be easily removed. It is ideal for credit cards, ID cards, fuel cards, membership cards etc. Pad Print Front – 55mm x 18mm (above or below the slot in the centre). Pad Print Front – 55mm x 40mm (print goes over theslot in the centre). Pad Print Back – 55mm x 22mm. Direct Digital Front – 55mm x 18mm (above or below the slot in the centre). Direct Digital Front – 55mm x 40mm (print goes over theslot in the centre). Direct Digital Back – 55mm x 22mm.